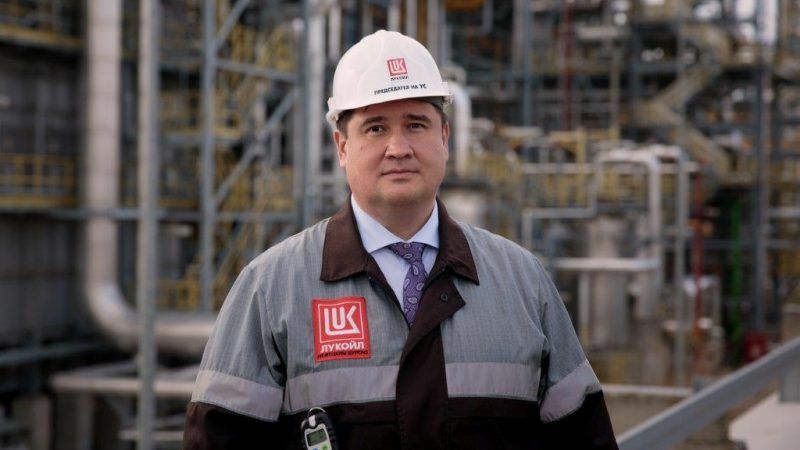 Ilshat Sharafutdinov, director general of LUKOIL Neftohim Burgas [LUKOIL’s Bulgarian unit], provided written replies to questions asked by EURACTIV’s Senior Editor Georgi Gotev. Ilshat Sharafutdinov studied at the State Petroleum Technical University in Ufa, Russia, and in the University ‘Prof. Asen Zlatarov’ in Burgas, Bulgaria, and holds a PhD in natural and synthetic fuel technology. At Neftohim Burgas, he has worked as an engineer-technologist, coordination manager, head of department, head of management and chief engineer. In what state was the Neftohim Burgasoil refinery at the time LUKOIL purchased it, and what has changed since then? It is the only refinery in Bulgaria, although fuel is also imported from other sources. LUKOIL acquired the oil refinery in Burgas in October 1999, signing a privatisation agreement with the Bulgarian government. At that time, the largest refinery in the Balkans was going through difficult times and its future was rather unclear. Many Bulgarian industrial enterprises were then privatised, one of which was NEFTOHIM. After privatisation, in the first place, a clear development strategy was adopted, providing for a large-scale programme of optimisation, reconstruction and new construction. Almost all existing installations were modernised and 14 new ones were built using the latest, cutting-edge technologies. Since 2000, LUKOIL has invested more than $3 billion. As a result of this work, LUKOIL Neftohim Burgas is now one of the leaders in the field of European oil refining in terms of efficiency, energy efficiency, as well as industrial safety and labour and environment protection. Is it true that LUKOIL Neftohim Burgas can only process Russian oil, or is it modernised and able to process Middle Eastern oil as well? Does the refinery process oil from other sources and in what quantities? In 1963, when the first Bulgarian gasoline was produced, the facility was designed for refining oil imported from the USSR through the port of Novorossiysk. In recent years, thanks to our work on optimising the production scheme and maximising the conversion rate, our oil basket has become much more diverse and we now process about 30% of alternative types of oil from the Middle East, North Africa, the Mediterranean and other parts of the world. An accurate balance between the properties of different types of oil and use of modern advanced technology allowed us to significantly increase the depth of processing. In 2017, this indicator was 86.7%. In recent years, crude oil prices have been relatively low, which is good for transport and industry. Does the low oil price affect the refinery business and how? The period of low crude oil prices was accompanied by a low processing margin, which has a negative impact on the economy of any refinery. Many European plants were forced to operate at a loss, and more than ten of them suspended their activities. We used this period of economic recession in oil refining to focus on improving and optimising our technological configuration and we introduced the best available techniques in the industry to achieve the highest possible efficiency. Today we are confident in our competitiveness and in our ability to successfully deal with any economic scenario. Could you provide figures indicating the importance of LUKOIL Neftohim Burgas for the Bulgarian economy? LUKOIL Neftohim Burgas AD is among the largest industrial enterprises in Bulgaria. For many years, we have been ranked as the largest Bulgarian company in the fuel sector, and at the forefront of the Bulgarian top 100 companies in terms of sales revenue. Companies of LUKOIL Group form about 9% of the country’s GDP. LUKOIL Neftohim Burgas AD is a core enterprise for the Burgas region – the share of the petrochemical and oil refining industry constitutes 80% of the total added value created in the region. We produce most of the fuel consumed in the Bulgarian market. The oil refinery is also a significant factor in the labour market. The total number of the company’s employees together with employees of contracting organisations working on the site amounts to 4,000 people. We also have a lot of contractors who provide us with remote services. Does the company make profits? What is the profit margin? I am asking this in view of the publications stating that the company deliberately operates at a loss so that it does not have to pay tax on profits. The low refining margin, which I mentioned earlier, led to the fact that many European oil refineries began to operate at a loss. We were no exception, especially considering the fact that this period coincided with the implementation of our intensive investment program. As a result of the significant modernization of the refinery’s production capacities and increasing its economic efficiency, we have received a profit in the last two years. We comply with all applicable provisions of the Bulgarian and European legislation and pay all taxes related to our activities. Now we are focusing on realising our potential and opportunities to maximise profits for our company, shareholders, and the Bulgarian budget will also benefit from this. Do the European environmental requirements represent a burden for you? No, we do not consider environmental requirements a burden. Certainly, they pose serious challenges for us, many of which require significant investments and time for implementation, but industrial safety and protection of labour and the environment have always been on the list of the top priorities of LUKOIL. We have invested more than $90 million in purely ecological, non-commercial projects at the Burgas refinery, but in fact, the comprehensive modernization of our production capacities using the most advanced technologies and the best available techniques allowed us to reduce emissions below the average level for European oil refineries. How do you respond to complaints about air pollution? Our production facilities are under continuous environmental monitoring. In the refinery area, seven air quality monitoring stations (mobile and stationary) have been installed and we have our own permanent measurement system. All of them work seven days a week, around the clock. We respond and conduct corresponding investigations in 100% of the cases of signals from the citizens received by our Green Telephone, the municipality or the Regional Environment Inspectorate. In 99.99% of cases, inspections show that complaints are not related to the facility’s operation, and there are no violations of emission standards. How do you see the future of oil refining in Europe (not only for LUKOIL), in the light of European regulations that give an advantage to facilities outside the European Union? Will the EU, which is already dependent on oil imports, become even more dependent on imported fuel? We hope that the European oil refining sector will develop, as it provides both energy independence and workplaces. Oil refining is also associated with other industries that will suffer from such a decline, including, for example, mechanical engineering, specialised IT companies and others. The number of oil refineries is likely to decrease, but those that will remain will be truly competitive, highly technological and highly efficient enterprises. Thus, a new energy balance will be established. Having carried out such a large-scale technological modernisation, we are confident today when it comes to our competitive advantages, and, of course, we will do our best to achieve the perfection that we need to be one of the industry leaders. How is the relationship between the company and the state developing, especially in connection with the so-called “golden share”, as well as with the energy regulator – the State Energy and Water Regulatory Commission, the Commission for Protection of Competition and the Ministry of Environment and Water? In Bulgaria, we have established good professional relations with all government agencies. It has become possible thanks to the policy of LUKOIL, which is based on strict observance of the current legislation in all regions of its presence and adherence to the principles of corporate social responsibility. The authorities exercise control functions within their competence and we render full assistance in handling them. We work with them with maximum openness and transparency. And when we see the need to address them with certain issues related to our activities, we also find a professional attitude. The government’s golden share is an interesting tool that is not very common in international business practice. The owner of this action is the ministry of energy of the Republic of Bulgaria. The golden share allows the government to monitor strategic decisions of the company through its representative on the supervisory board. I must say that all representatives of the ministry were and are professionals in their field and ensure the effective functioning of the supervisory board of LUKOIL Neftohim Burgas, taking into account the interests of the state and shareholders.